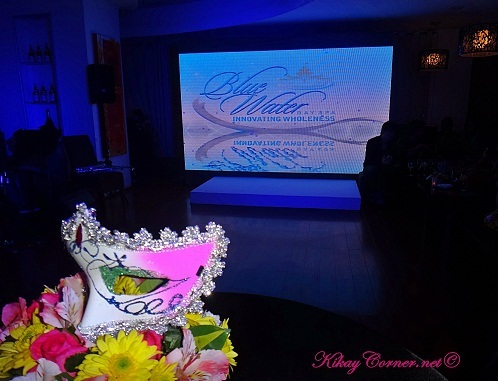 Karylle and Akihiro were launched as the new celebrity endorsers of Blue Water Day Spa in place of Marian Rivera and Piolo Pascual. The launch was held last May 26 at the C3 Events Place in Greenhills. The launch was well attended by a bunch of media representatives. It was a couple of months back when I wrote an entry about my looking forward to have a spa treat with the hubby. It finally happened last April 29, I claimed my prize on a blog contest I joined, over at BlueWater Day Spa in Capitol Hills, Quezon City. After having had a rather rough shiatsu massage at The Spa the week before that, I was too afraid to avail of the body massage option. I chose to have the foot reflexology and back massage (twin package) instead and I was thankful I did. It was almost like I had a body massage with special treatment on my very eager feet. The hubby availed of the Swedish massage (P650). We added a couple of bucks and upgraded to a couple’s room and had the room all to ourselves. I love that BlueWater Day Spa is able to achieve the illusion of blue water surrounding (consistent with their name). The Capitol Hills branch could not be more perfect. Situated just right beside a golf course, it’s like a world of its own. Another thing that I like about BlueWater Day Spa is their being able to throw in that deo spray in their common room. Scheduled or not, it is just not me to bother bringing my deo with me to the spa. It should be like a part of everyone’s bath regimen, right? That’s a plus for them on my list.